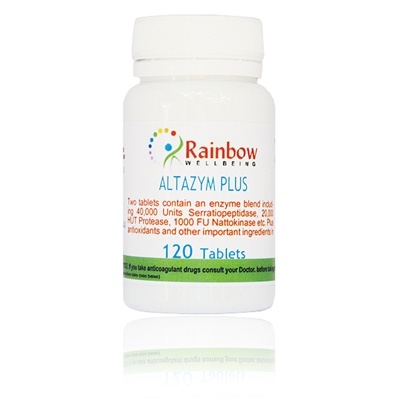 Altazym Plus is a new product developed and manufactured by Bee Well and although each natural ingredient will address many health problems, it is targetted to the heart and cardiovascular. 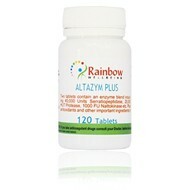 Containing a property blend of eleven enzymes (including one serving 40,000 units of Serratiopeptidase) and Nattokinase, the mother of all enzymes. Plus another 13 ingredients such as vitamins, co-enzymes, Aids, Enhancements & Supplements/Antioxidants, guggul (commiphora mukul) etc.